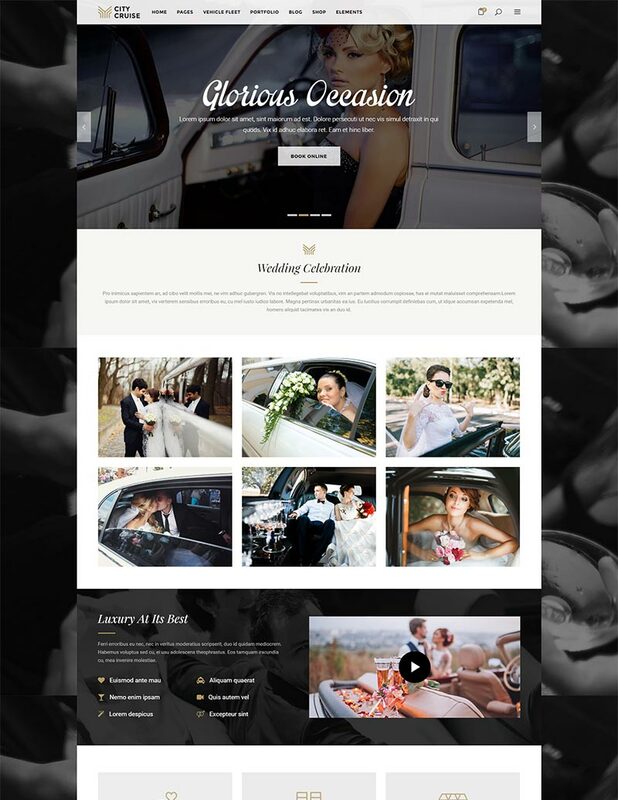 City Cruise is a brisk and modern theme made for all vehicle & limo rental businesses. Packed with three remarkable homepages. City Cruise comes with the practical Service Rates shortcode which lets you create a table listing your vehicles & rental rates. City Cruise comes with two powerful & user friendly plugins free of charge – the Visual Composer and the Slider Revolution. Import the entire City Cruise demo content with just a single click of your mouse thanks to the great 1-click import feature. 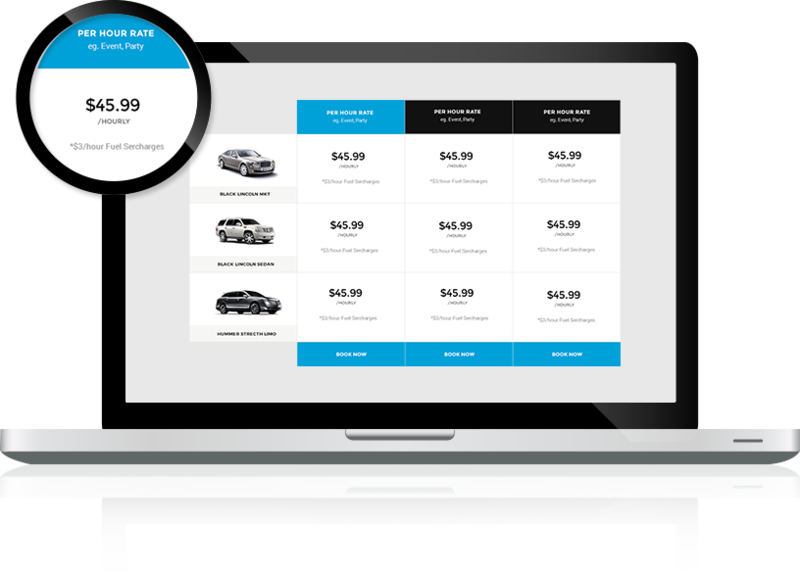 Included with City Cruise is a neat booking form shortcode which lets your customers book vehicles in a straightforward way. 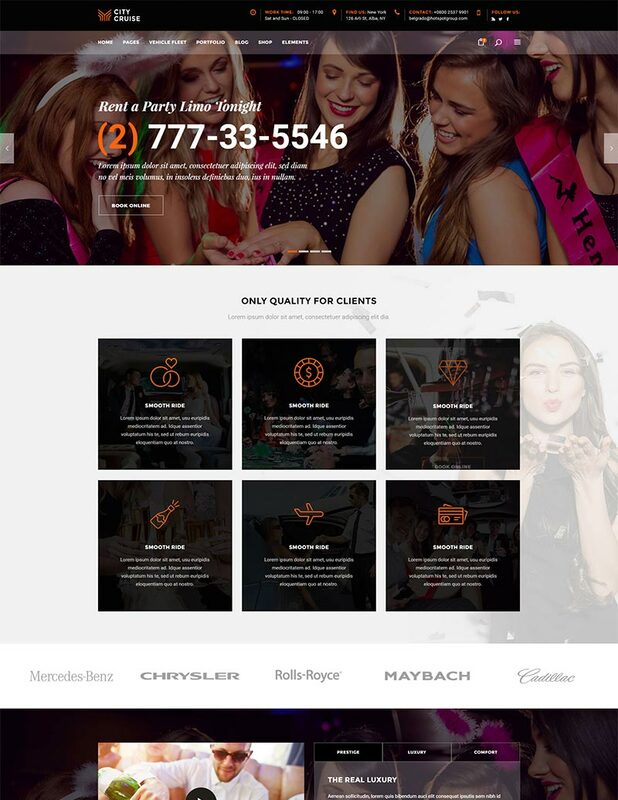 Brimming with astounding and fully flexible predesigned inner page layouts, City Cruise has everything for your website. Bundled with the theme is a comprehensive and easy to follow step-by-step user guide which helps you create your website. Our friendly and highly trained support team is always there to lend a helping hand if you have any concerns or questions. 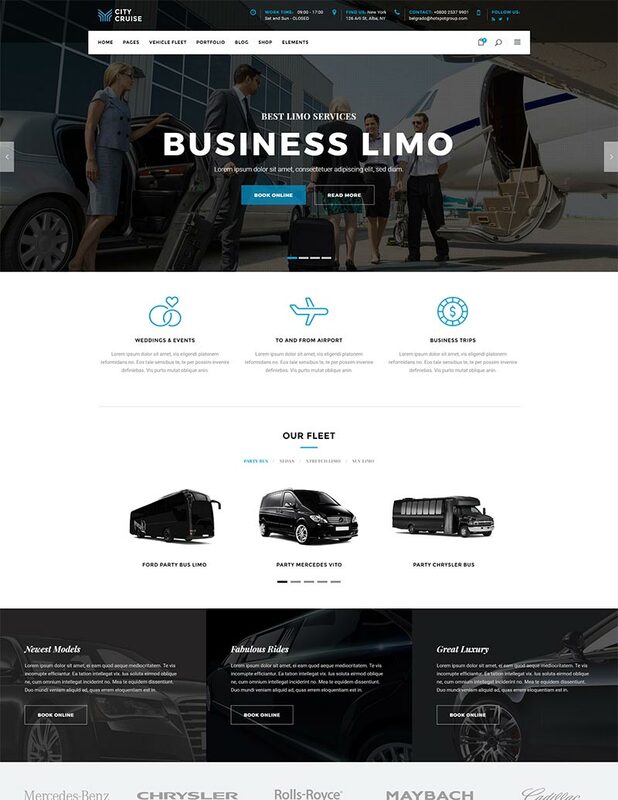 Create your own modern limo & vehicle rental website today with City Cruise.